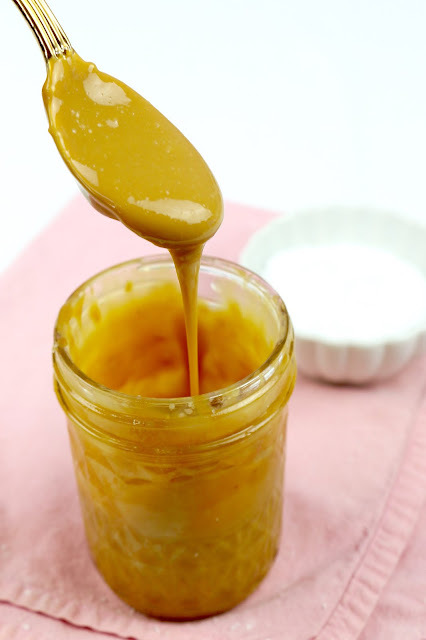 Sweet and salty homemade caramel sauce! 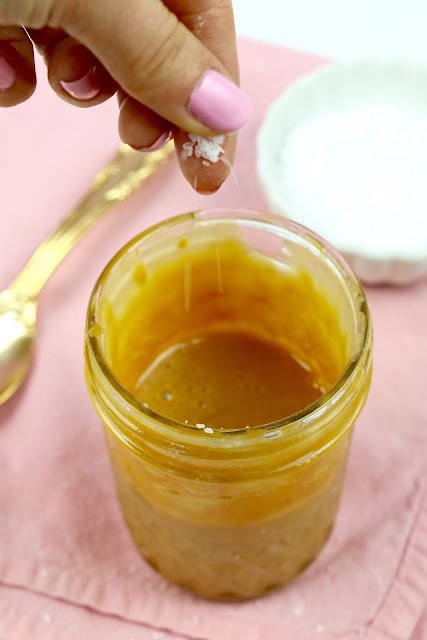 This homemade caramel comes together with a few simple ingredients and is perfect for drizzling on top of cupcakes or brownies, topping a cheesecake with, as a dip for apples, or spooning over ice cream. 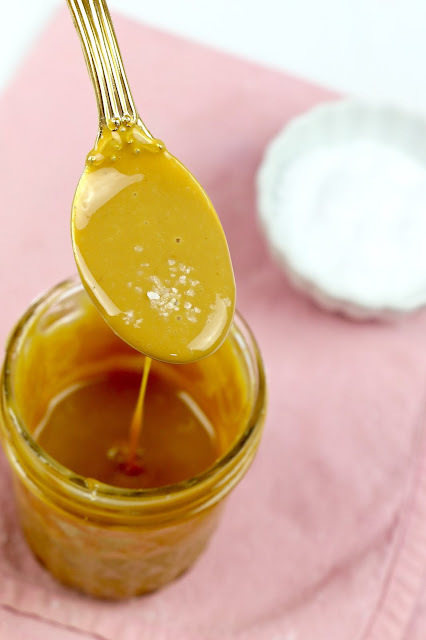 It takes about 8-12 minutes for the sauce to caramelize to perfection, depending on the size pot you use and how high the heat is. 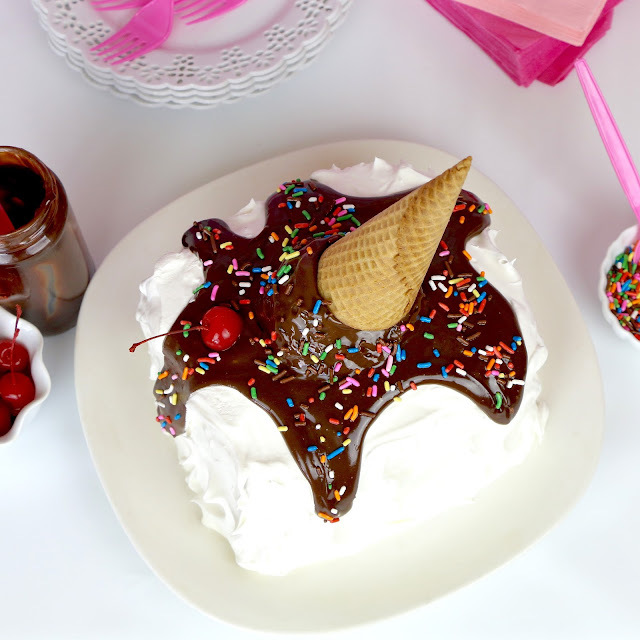 The sauce is thick with a hint of buttery vanilla flavor and a hint of saltiness to round out the flavor. Once you try this stuff, you will never go back to that thin, runny, bland caramel from the store again.